If your microphone stopped working in Windows 10, follow the steps below. That’s it! Re-enabling apps to access your microphone will get everything working again. Now you can then decide which of the Windows apps you’d like to restrict access to. You may not see the apps that you were having issues with listed, don’t worry, they’ll work, go ahead and try them. The apps listed below are mostly Microsoft specific apps which you can limit. (Personally I disabled all of them, be careful if you do that though, you may forget you did and it could come back to haunt you). 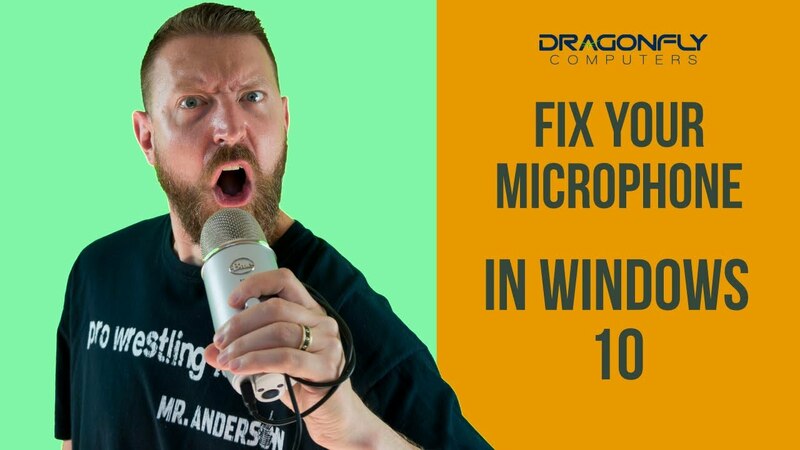 What caused the microphone to stop working in Windows 10? It appears a recent Windows update disabled app access to the microphone, for privacy reasons I’m assuming. That’s all well and good, but this makes troubleshooting the problem particularly tricky. Windows 10 provides no error or warning that the Mic suddenly has limited access to the system. When you test the actual Mic, you’ll find that it’s working fine. Then you go to use an app such as Zoom (online conferencing software) or Dragon Naturally Speaking and you find that the Mic won’t work. (It will be listed as available, just not working, with no error code). This drove me crazy uninstalling and reinstalling devices, going into advanced options in device manager, looking at event logs, etc. Once again, the fix was simply a couple of button clicks. Hope this saves you some time!